It’s sweet, but is it safe? It's sweet, but is it safe? As we reported this week on the In Brief and In Depth section of CABI's nutrition and food sciences portal ('FDA Refutes Aspartame Carcinogen Accusation', 25/04/07), the FDA has laid to rest accusations that aspartame is carcinogenic. It may not be 'natural', but it's not dangerous. The battle that Soffritti seems to have locked his horns into, however, goes much wider than a scientific dispute with the FDA. The European Food Safety Authority was also under the obligation to look into the allegations, again, as you would if you were a public body responsible for protecting the health of millions of taxpaying citizens. They also found no evidence of anything other than an 'incidental' finding of lymphomas and leukaemias in rats fed aspartame, as said as much in a 44 page report published in May last year (as reported on nutritionandfoodsciences.org, 'European Food Safety Authority Re-Confirms Safety of Aspartame', In Brief and In Depth 08/05/06). The FDA spent a little longer reviewing the data, but ultimately came to the same conclusion. Although I only spent a matter of minutes searching CAB Abstracts' nutrition and food sciences database, out of the 666 abstracts the search unearthed mention aspartame, only six discussed carcinogenic effects. Of those six, only one paper, Soffretti's, reported a positive correlation. The other, negative, findings came from epidemiological, case-control and toxicological studies, in humans and rats. Of the other 660 reports available on CAB Abstracts, it is clear that aspartame and other 'non-sugar' sweeteners have not only become ubiquitous in sweets and drinks, but their popularity extends beyond consumers and manufacturers. Nutritionists, dieticians (weight control) and dentists (anticariogenic) have all expressed support for non-nutritive sweeteners, whose health benefits are believed to far outstrip any potential health risk. Don't, however, expect the controversy to end here. Soffritti has just presented data from his second study. Soffritti presented new data on Monday at the Mount Sinai Medical School in New York, where he also received the prestigious Irving J. Selikoff award for cancer research. Although these are not yet in the public domain, you can guarantee that they will appear on www.nutritionandfoodsciences.org. And how would you like your flowers Madam? Genetically modified? Yes, GM bouquets could be the future of floristry, with consumers demanding more choice in flower colour, Australian company Florigene are hoping to import and market their GM carnation Moonaqua™. The flower is the lightest shade in Florigene's Moonseries range being pale lilac in colour, created by modifying genes in the anthocyanin biosynthesis pathway to enable production of delphinidin. Cowpox, cats, smallpox and history. It is 30 years since the last recorded case of naturally acquired smallpox. The eradication of this terrible disease which caused the deaths of hundreds of millions over the centuries, could raise the possibility that cowpox virus, which played an important part in the fight against smallpox, could be taking advantage of the removal of its more virulent relative to cause some problems of its own. A recent report from Germany on case reports of cowpox poses the question of a link between the end of smallpox vaccination and an increase in human cowpox cases. To look at the role of these two viruses in the history of medicine and immunology, we must go back to the eighteenth century to find Edward Jenner, cowpox and his fight against smallpox. Jenner, sometimes called the Father of immunology was born in Berkley Gloucester in 1746. He studied medicine in London before returning to Berkley to practice. Smallpox was a major cause of death at that time, particularly dangerous for children. Jenner developed a theory based on the folklore, what we would now call indigenous knowledge, that milkmaids who suffered the mild disease of cowpox never contracted smallpox. In 1796 he carried out an experiment on an eight-year-old boy, James Phipps, in which he collected pus from a cowpox pustule and inserted it into an incision on the boy's arm. Phipps became immune to smallpox. Jenner described his findings in a paper submitted to the Royal Society in 1797, but found considerable resistance to his ideas, and was told that he needed more evidence. Jenner experimented on several other children, including his own 11-month-old son, and in 1798 the results were finally published. Jenner coined the word vaccine from the Latin 'vacca' for cow. Popular resistance to vaccination continued and a famous satirical cartoon of 1802 showed people who had been vaccinated sprouting cow's heads. The British Anti-Vaccination Society published this cartoon in 1802 to satirize Edward Jenner and "the Wonderful Effects of the New Inoculation." The practice of immunization wasn't entirely new. The process of variolation was developed in the 10th century in China and India. It involved taking pus from the pocks of someone suffering from smallpox and inoculating healthy people with it, to create a mild case of the disease and giving lifelong immunity afterwards. Variolation carried the risk of death from the infection, but at a time when smallpox was rife the odds made it worthwhile; about 0.5-2% may have died after variolation, compared with 20-30% after natural smallpox. Although, a major disadvantage of the practice was that variolated people could pass on severe smallpox to others. Smallpox has been a scourge of humans for centuries. There was physical evidence of smallpox, a pustular rash, on the mummified body of Pharaoh Ramesses V of Egypt, who died in 1157 BC. The disease was taken by traders from Egypt to India during the 1st millennium BC, and from there it swept into China in the 1st century AD reaching Japan in the 6th century. Returning crusaders provided a way for smallpox to spread through Europe in the 11th and 12th centuries. Smallpox was particularly devastating when brought to new naive populations. The demise of the Aztec and Inca civilizations in the 16th century had as much to do with smallpox brought by the Spanish Conquistadors, as it did to their swords and guns. The native populations of North, South and Central Americas had no immunity to the disease, unlike the European colonists, and the disease swept through their populations. In the 18th century smallpox decimated the aborigines when it reached Australia, the last corner of the world to have previously escaped its ravages. Smallpox was finally eradicated in the 1970s, with the last natural case recorded in a man in Somalia in 1977. In 1966 D. A. Henderson was appointed to lead the WHO, and he played an important role in the global campaign to eradicate smallpox. Henderson and his team developed a strategy of containment and surveillance. When an outbreak was identified a WHO team would arrive, vaccinate and isolate those who were ill and trace and vaccinate all their contacts. Effectively they ring-fenced the disease until it had no way of moving on to its next victim. The eradication teams also actively hunted down the disease, travelling with a 'recognition card' showing a baby with smallpox, to explain to people what the illness looked like. Rewards were offered to encourage reporting of cases. The eradication of smallpox is one of the great achievements in medical history and one that the WHO can be truly proud. However, could the decline of immunity to the smallpox virus have an unfortunate (though relatively small) side effect? Cases of cowpox are rare in humans, but could the reduced resistance as a consequence of the end of smallpox vaccination let the cowpox virus in? Cowpox virus, like the smallpox virus is a member of the genus Orthopoxvirus in the sub-family Chordopoxvirinae of the family Poxviridae. Cowpox is really misnamed as cattle are not the main hosts: it occurs predominantly in rodents. Cowpox virus has a broad host range and has been isolated from cats, dogs, elephants and humans as well as bovines. Genome sequence analysis has suggested that cowpox virus is closest to a hypothetical ancestral poxvirus from which other orthopoxviruses have evolved. In a report in Eurosurveillance by A. Nitsche and G. Pauli a number of human cases of cowpox are described in Germany even though the disease does not appear to be present in German cattle. It seems that cats are the main culprits for spreading the disease to people. Patients usually show local exanthema on arms and legs or in the face, often in the area of the eyes, probably acquired as smear infections, and most cases have a pronounced lymphadenopathy. In addition to this, infected people often display influenza-like symptoms, headache, nausea and myalgia after an incubation period of between seven and 12 days. The disease can be very serious in immunosuppressed patients as they can develop lethal systemic disease that resembles a variola infection. Orthopoxviruses in general can be detected by either electron microscopy or serology, but for a rapid differentiation between different orthopoxviruses it is best to use DNA sequencing. Other existing assays are based on RFLP analysis of PCR amplicons of various poxvirus genes, but are less informative and slower. There is no approved antiviral therapy against poxviruses currently available, so it is important that people who come into contact with animals that could be infected, especially cats with slow-healing skin lesions, are therefore advised to protect themselves. Hygienic procedures need to be followed (such as wearing gloves) when treating both animals and humans with cowpox. There is more than 300 records on cowpox in the CAB Abstracts Database covering the virology of the virus, infections in cattle and its transmission to humans from cats, rodents and other animals. More than a month since the major recall of dog and cat food in North America began, many key questions still remain unanswered. On 16 March, Menu Foods, Inc. initiated a North American recall of dog and cat foods, prompted by pet owner complaints and by its own testing. Since then, a growing list of pet food manufacturers and brand names has been added to the recall list. The latest additions to the list include two pet foods produced by the Natural Balance Pet Foods from Pacoima, CA, USA, after the company has received reports from customers of animals vomiting and experiencing kidney problems. Other manufacturers participating voluntarily in the recall of pet food products include: Menu Foods, Hill's Pet Nutrition, P&G Pet Care, Nestle Purina PetCare Company, Del Monte Pet Products, Sunshine Mills and Natural Balance Pet Foods. The list of recalls includes approximately 60 million cans of more than 100 brands of dog and cat foods. Meanwhile, pet owners continue to report that their animals are getting sick and dying from foods not included in the recall. The latest figures compiled by the Veterinary Information Network (VIN), an online service for veterinary professionals, indicate that the number of dog and cat deaths linked to the contaminated pet foods is likely to be in the thousands and the number of sick pets to be more than 10,000. According to the analysis by Banfield Pet Hospital, a U.S. chain of veterinary clinics, as many as 39,000 dogs and cats have been affected by eating tainted pet food. The estimate is based on analysis of its database linking 615 pet hospitals and clinics. Three out of every 10,000 dogs and cats that ate the contaminated product developed kidney failure. Banfield said the diagnosis of kidney failure in cats rose 30% during the three months when the contaminated pet food was sold. The Food and Drugs Administration (FDA) in the USA has confirmed 16 deaths (15 cats and 1 dog) linked to the recalled pet foods so far, but it recognizes that there may be many more pet illnesses and deaths. It has received over 14,000 calls from pet owners and veterinarians who reported illnesses that may have been associated with the contaminated pet foods in the first four weeks of the recall — more than twice the number of complaints typically received in a year for all of the products the agency regulates. Pet food recall and the deaths of potentially hundreds or even thousands of beloved pets, have already had a major impact on the pet food industry. In addition, it has also caused renewed concerns regarding human food safety. Currently, there is no evidence to suggest that the human food supply is affected, but the Centers for Disease Control and Prevention is monitoring the incidence of human illness, such as increased renal failure, that could indicate contamination of the human food supply. Blood transfusion - never entirely safe. This week an enquiry into the use of contaminated blood by the UK National Health Service opened (BBC story). The enquiry will examine the circumstances surrounding use of contaminated blood in the 1970s and 1980s by the NHS and the exposure of several thousand patients to HIV and hepatitis and their resultant deaths. The accusation levelled at the government is that ministers continued to allow use of blood from the USA when they knew it was contaminated. They are alleged to have ignored warnings from government scientists. That was over 25 years ago but even today blood transfusion isn't entirely safe. It is a balance of the risks versus the benefits, and there is always a risk of disease transmission. More is known now about hepatitis C and HIV now than 25 years ago and blood banks now screen for these and inactivate viruses where possible. But who knows what virus may turn up next. Currently there is concern that West Nile virus and CJD may be transmitted in blood. In the UK the National Blood Service screens donors with questionnaires about possible exposure to these viruses, along with a lot of other questions about travel and lifestyle. To trace the history of illnesses caused by blood transfusions try searching Global Health Archive and Global Health on CAB Direct with 'transfusion and disease transmission' and with 'hepatitis' for hepatitis caused by transfusion. For HIV it is more difficult because back in the 1980s HIV was not well defined so you may miss some. 'Immune deficiency' picks up the disease HIV causes. The earliest case of HIV caused by transfusion I could find was a case study published in 1983 in the Lancet of a child who may have got AIDS from a transfusion. Another paper of interest in 1977 showed that scientists realised the danger of commercial blood donors in the USA and in 1980 factor 8, the blood product haemophilia patients need, was shown to carry hepatitis virus. Over at the Agricultural Biodiversity Weblog Jeremy decided to lay down a challenge to us here at CABI - make it possible to view the changes in distribution over time. We'd like to explain a little more about the history of the maps - we began publishing Distribution Maps of Plant Diseases in 1942 and for the first 50 or so years the distributions were drawn onto the maps by hand. Historically, when a new edition of a map was published the idea was that old editions would be replaced by the new edition and the old edition was discarded - therefore, when we digitised the maps for the first time in April 2006, we also had the job of tracking down the old editions. We have managed to get a number of them (back 10 years or so) but there are older maps out there that we have to locate, clean up and then get digitised. Part of the digitisation process involves extracting the metadata that is locked up in the map, and constructing an abstract to accompany the new electronic version. It takes time... and money. Now that the maps are digitised, the next stage is to look to do something similar to what has been suggested by Jeremy as well as other developments to make the maps more usable and useful in general - we have been looking at ways of doing this and there is certainly a lot of scope for development with the technology that is out there. In regard to the suggestion of creating time series animations showing the changing distribution of pests and diseases - it's a great idea, but note that the maps are not revised on a regular basis but rather only if it has been brought to our attention that a revision is necessary for reasons of change of distribution or taxonomy. They are also pdf files - if anyone knows how to animate a pdf file please let us know! If we were to make the data more dynamic, what would be a good tool for visualisation - Google Earth, NASA World Wind? Something else? If you have thoughts and suggestions please leave a comment. We'd also like to announce that over the next few days we are going to make every 100th Map published so far, open access on the website - that way you can all get some idea of how they have changed over the years. And finally, we're happy to hear from anyone who has suggestions for improving and developing the maps - please contact maps@cabi.org. Could it bee your mobile phone? One serious cause of honey bee die-off in the US is Colony Collapse Disorder (CCD). It leads to collapse of the hive often with complete absence of bees or only the queen and few other individuals remaining. A story in the Independent yesterday highlighted a theory that radiation given off by mobile phones and other gadgets could be affecting bees’ navigation systems, preventing them from finding their way home. Dr Jochen Kuhn at Landau University has found that bees refuse to go back to their nests when mobile phones are placed nearby. This work follows an earlier paper suggesting that higher frequencies may cause changes in the bees learning abilities. However, this theory is widely disputed and is only one of many current ideas. For more information see Mid-Atlantic Apiculture Research and Extension Consortium (MAAREC) website, DEFRA, and BeeBase. The National Bee Unit is monitoring the situation closely, is in contact with US scientists and suggests that any beekeepers concerned about losses should contact their local inspector. Search for information on CAB Abstracts with the terms below. Recent reports of disappearing bees may initially come as a relief to some of us, but this is actually very serious news considering bees pollinate a large proportion of our plants, including some food crops, and are keystone species in the ecosystem. Today the Bumblebee Conservation Trust invited the UK public to send in sightings of bumblebees over the summer so it can build up a map of where the 25 species of bumblebee are - 3 of the UK’s 25 species are already extinct, 5 are now designated UKBAP species in recognition of their precarious situation, and 4 more are scheduled for inclusion. Dave Goulson of the Trust said, "People with digital cameras or a camera on their mobile phones can send us pictures of the bumblebees in their garden and we will send them back an identification. If people send us the date and a postcode of where the bumblebee was seen then we will be able put together a national map." 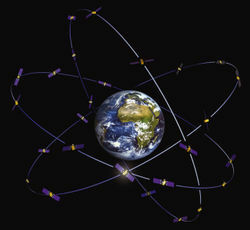 Hurtling around the planet, some 23 km above our heads, will be a network of 30 satellites making up the EU Galileo positioning system. The 675 kg spacecraft will carry the equipment necessary to potentially pinpoint the position of a transponder on the Earth's surface with centimetre-accuracy. Assuming the project overcomes the economic and political issues that threaten the projected 2011 start, it stands to drive astonishing new applications in agriculture. 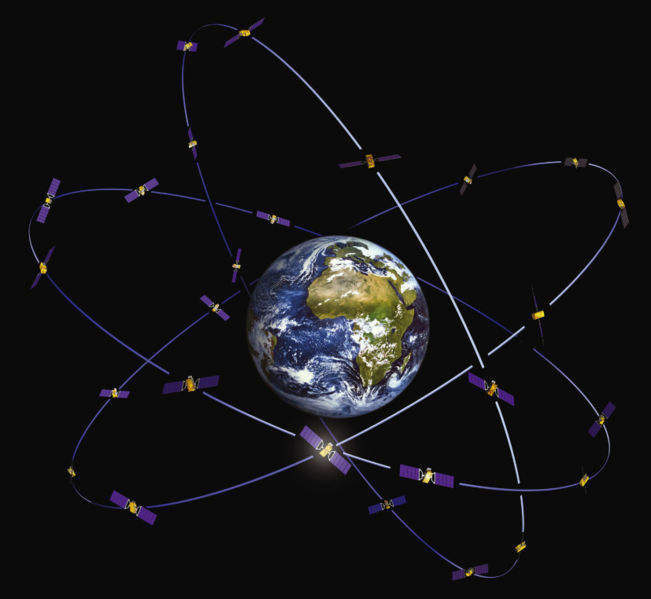 The project consortium members have been given until the 10th of May to resolve long-running disagreements on the technical and financial details behind making Galileo work. Read on below for more about the system's potential. Over Easter I took the opportunity for a few days’ break in the Scottish Highlands; although it’s a bit too early in the year for blood-sucking arthropods to be a problem, I was reminded of the publication a few months ago of a new edition of ‘Ticks: your pets, your family and you’, by Alison Blackwell, George Hendry and Darrel Ho-Yen (for details see the publisher’s website at http://www.mercatpress.com). George Hendry is the author of the best-selling ‘Midges in Scotland’, and the newer book provides a similar account of ticks in the UK, scientifically rigorous but easily readable by the general public. It aims to make people aware of the dangers of tickborne diseases while reassuring anyone who might have been alarmed by exaggerated rumours. While researching this article I also discovered that the week before Easter was Tick Prevention Week in the UK – see http://www.tickpreventionweek.org. Tick populations can reach hundreds of thousands per hectare (tens per square metre), and are not confined to upland areas – indeed mountain tops are too exposed for them, and they are present in London’s Richmond and Bushy Parks. In many years of hill-walking I have only noticed a few tick bites, perhaps a couple of dozen at most; but looking at the life-size illustrations of tick larvae and nymphs in the book I wonder how many times I’ve been bitten by a tick too small to notice. The best known tickborne disease is probably Lyme disease; I get the impression that this is perceived to be a much bigger problem in North America than in the UK, and the book confirms that much more public information is available there. I wondered how much this reflected a true difference in the prevalence of infection and how much it was just perception, so I did some investigation in CAB Abstracts. This revealed an interesting article (Davidson, M. M. et al: Scottish Medical Journal (2003) 48 (1), pp. 6-9) indicating among other things that the annual incidence in Scotland had been calculated at between 1.25 and 16.5 per 100 000, but that even in areas with significant numbers of infected ticks the risk of infection is low. Further investigation revealed that although the incidence in the USA as a whole is comparable to that in Scotland, the disease there shows a strong geographic concentration in the north-east and north-central regions, where the incidence in some states is much higher – over 130 per 100 000 in Connecticut in 2002 (Bacon, R. M. et al. : Morbidity and Mortality Weekly Report (2004) 53 (17), pp. 365-369). On both sides of the Atlantic there is suspicion that the recorded figures may be underestimates. There are of course other tickborne diseases in Britain, North America and elsewhere (at least we in the UK don’t have to worry about the tickborne encephalitis that lurks not far away in Central Europe), and climate change may increase the risks (ticks flourish in warm wet climates) but it appears that although the comparative lack of concern about Lyme disease in Britain may need to be addressed, it is not purely due to complacency. This would support the overall message of Blackwell et al’s book, which could perhaps be summarised as ‘be aware, and take precautions, but don’t panic’.